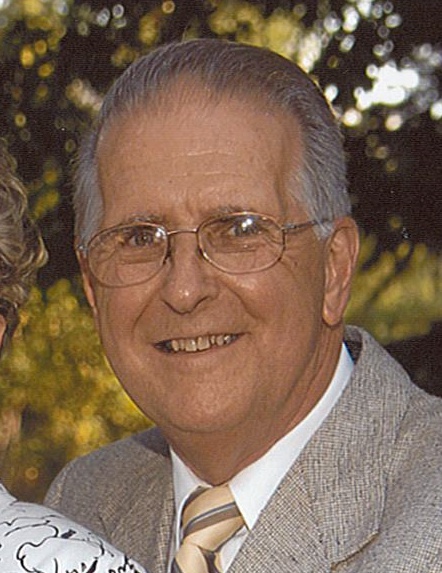 Raymond E. “Ray” Mintus, 81, of Warren, entered peacefully into eternal rest Wednesday, March 27, 2019 at 7:04 a.m. in St. Joseph Health Center in Warren. Ray was born on December 1, 1937 in Warren the son of the late John and Veronica L. Przybyszewski Mintus Jr. and was a lifelong area resident. A 1955 graduate of Warren G. Harding High School, Ray furthered his education by attending the University of Cincinnati School of Engineering graduating with a bachelor’s degree as metallurgical engineer. He would go onto to work for WCI Steel in Warren for over 35 years. Ray was a member of ASM International and the Association of Iron and Steel Engineers. He was a member of the North End Athletic Club where he played fast pitch softball. Ray was an avid golfer and loved to play with his sons; friends Jeffrey Deraway and Tom Jingo and his father-in-law Joseph Sedlock. He was a member of the former St. Pius X Catholic Church in Warren and after its closing he became a member of St. Mary’s Church in Warren. Ray will be sadly missed by his wife of 57 years the former Mary Joan Sedlock, whom he married on September 16, 1961; two sons Michael R. of North Royalton and James R. of the home; a sister Joann (Rick) Kanishak of Lakewood Ranch, Fl; an aunt Anne Prybys of Warren and two nieces Jayne (Drew) Gagliano and Kara Kanishak all of California. Besides his parents, Ray was preceded in death by an uncle Edward Prybys. Family will receive friends on Friday, March 29, 2019 from 5:00 p.m. until 7:00 p.m. in the Staton-Borowski Funeral Home. A Mass of Christian Burial will be offered at 10:00 a.m. Saturday, March 30, 2019 in St. Mary’s Catholic Church with Fr. John L. Lody officiating, preceded by closing prayers to be recited at 9:20 a.m. Saturday in the funeral home prior in leaving for the church. In lieu of flowers, the family suggests that memorial contributions take the form of donations in Ray’s name to the St. Vincent de Paul Society of St. Mary’s Church, 232 Seneca St. NE, Warren, Ohio 44481.